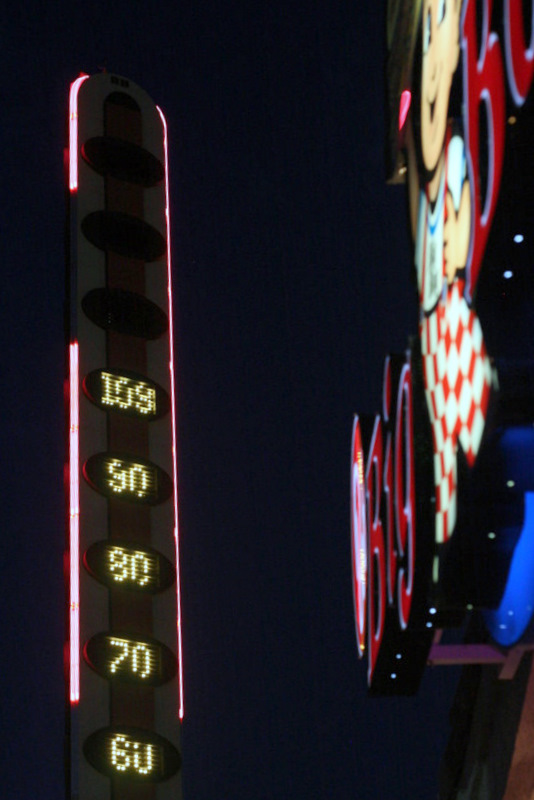 Located in the small town of Baker, California, the world’s tallest thermometer can be seen from miles away on the journey from Los Angeles to Las Vegas, and back. We stopped to eat at the Big Boy restaurant, and after we were done and night had fallen, the temperature had dropped a couple degrees and it was “only” 109 degrees. Boy was it hot!